Are you a first-time home buyer? Congratulations on hitting this huge milestone in your life. Finally, you can paint the walls whatever color you want and customize your home to fit your own unique needs. Of course, you’ll need to find the right homeowner’s insurance policy to fit your budget and lifestyle. 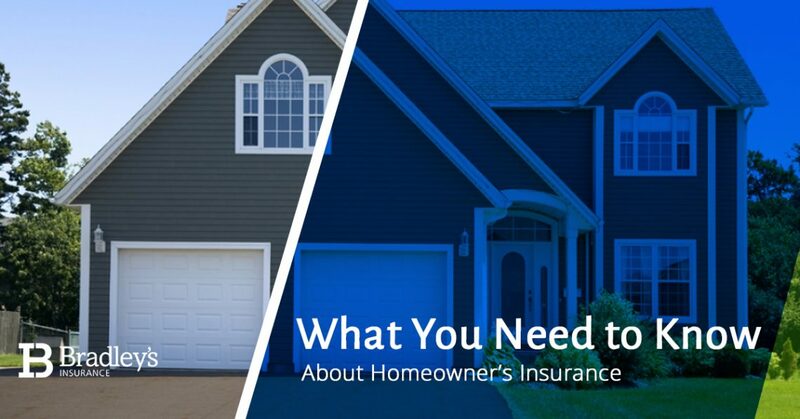 What do you need to know to find the best insurance coverage? If someone injures themselves on your property, this is the type of coverage that pays their medical bills. Such injuries usually occur due to some form of negligence on the homeowner’s part. How much will you be paying each month or year for your insurance? This amount is your premium. Your deductible refers to the amount of money you pay out of pocket before your insurance will kick in. If you prefer lower premiums, you will have a higher deductible. If your insurance includes a replacement cost, it pays the entire amount needed to replace your home or personal property up to a maximum dollar amount. This policy provides you with the current cash value (with depreciation) for your home or personal property. If you need to add coverage to your overall insurance policy to cover items such as jewelry, art or antique furniture, you can add a rider to it. In some cases, you may include a rider for air conditioning systems. Will This Policy Provide Adequate Coverage? Your home has unique needs that need to be taken into consideration. Although you want to keep your premiums as low as possible, that could mean that you are paying more upfront if something were to happen to your home. If you live in an area susceptible to flooding, do you have water loss insurance? About half of all home insurance claims in Canada occur because of water damage. Not all flooding is covered in homeowner’s insurance policies, so carefully consider what needs to be covered in your home. Will You Pay Your Mortgage and Insurance Payments Together? For convenience, most homeowners combine their mortgage and insurance payments into one monthly bill. To do this, your lender pays your expenses from your escrow account. You need to review a few different policy to find the best fit for your budget and lifestyle. Throughout the years, our insurance brokers have built relationships with a variety of insurance providers so you can find the best policy. We understand how overwhelming and confusing it can be to understand different policies, and we’re happy to help you every step of the way. At Bradley’s Insurance in Stittsville, we provide a variety of personal insurance policies so you can find the right home insurance, auto insurance, boat insurance and more. Contact our insurance company today to get started.